Here, you proclaim the truth. Jesus is your Lord and Savior. 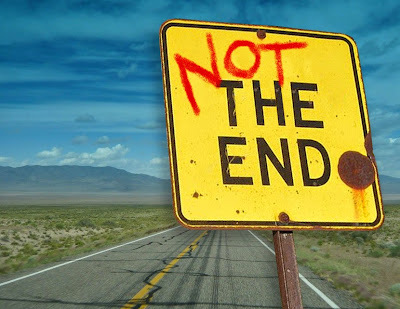 So often, so many of us slap “happily ever after” onto our testimonies, as if Christ saving us is the end of the story. Worse yet, there are many Christians who determine, having been saved and changed, that the rest of their lives is theirs to live as they please. With a happily ever after coming at the end, they, like the Corinthian Christians figure they might as well pass the rest of their earthly lives as they please. We act like this when we don’t want to be up front about our continued sin and don’t care all that much about living right now like we are citizens of heaven. The words slip out as if what’s past is past and that’s what defines us, putting our hope in the Lord who saved us but not in the same One who is glad to change us today. Concerned with what’s right in front of us, we approach life with the shortsighted priority of preserving our reputations, our senses of accomplishment, and our immediate emotions. When life is hard, we may still testify that He is real but feel nothing of His joy because we are caught up in present circumstances. We can live like that if we choose. You don’t have to say “the end” after sharing that Jesus died for you because Christ is still living and you are free to live in Him today. And tomorrow. He’s still active. He’s still present. Though your end on earth is secure, you aren’t there yet. You’re still a work in progress –one that will be brought to completion. 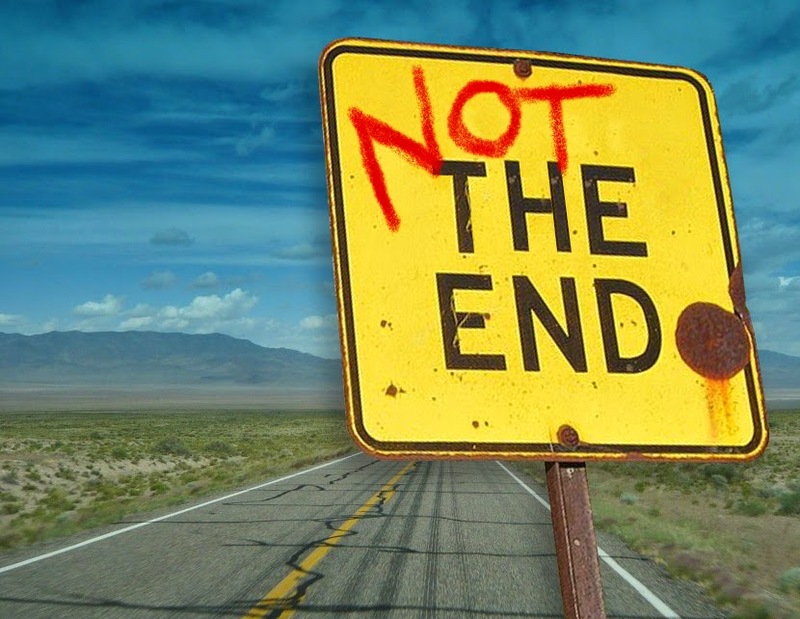 Keep in mind that “the end,” too, is all caught up in God. He’s the Alpha and the Omega –the beginning and the end. He defines eternity, security, time, and hope. The very word “Omega” describes the limitlessness of our God. We read in Revelation 1:8, “I am the Alpha and the Omega," says the Lord God, "who is, and who was, and who is to come, the Almighty." What’s to come in your testimony? What’s the Lord doing in your life right now? What was is important, but it’s not everything. He was with the first generations and will be with the last. He was present when you first accepted Christ as your Savior, and He will be the day that you go confidently before God, hopeful to hear that He is well-pleased. This post is being shared on: #TestimonyTuesday, #RaRaLinkup, Intentionally Pursuing, Titus2sday, and Thought-Provoking Thursday. Bethany, so lovely to "meet you" today through Thought-Provoking Thursday. I love point you are making here -- He's still working on me, and it's a good thing! Lovely to "meet" you too, Lyli! Love Thought-Provoking Thursday : ) Grateful to be "worked on" in the same hands of His that you are! Yes, God is active, present. Amen. Amen. Let us not live thinking otherwise. I cheer your heartfelt words today! Thank you! Cheering you on today from #RaRalinkup on Purposeful Faith. Amen Amen! Thanks for reading and hosting! This was SUCH an encouraging post to me right now. Due to life's circumstances, I have felt so many times that certain parts are over...it is a sad feeling, but your words give me hope that God is STILL working, and I shouldn't feel that the end has come. The enemy wants to make us feel this way to discourage us and to get us to lay our armor down and just surrender to worthlessness. Thank you for sharing what God has placed upon your heart...I really needed this. God bless you!